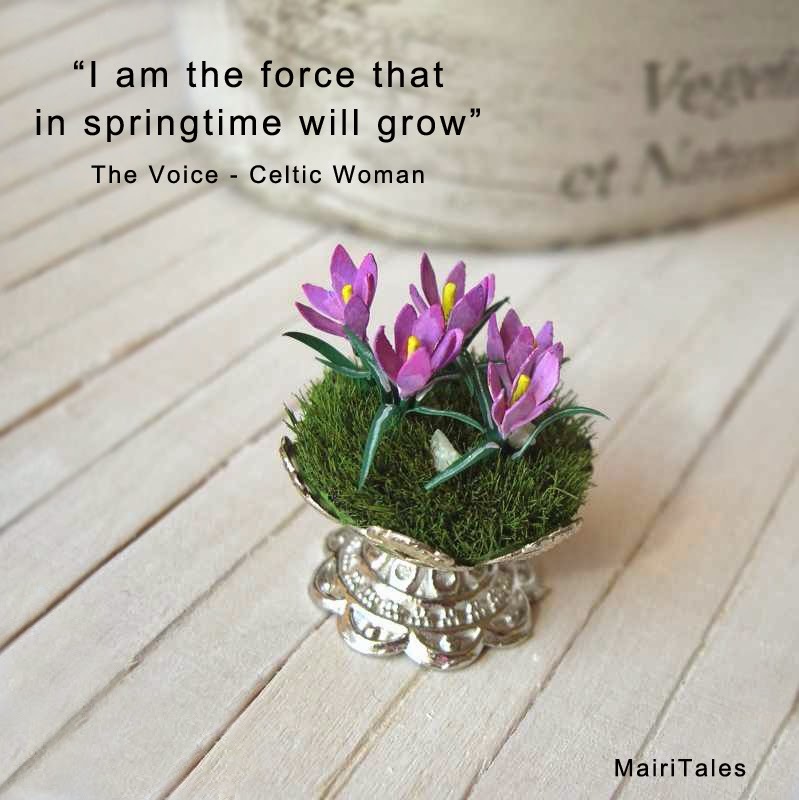 Each time a season fades in the next one, I write on my Facebook pages a verse of the song "The Voice" by Celtic Woman. This time I've used one of my miniature to welcome Spring. The idea for these Crocus flowers comes to me from a real Crocus composition on the web. Crocuses are little plants from the Iris family, they are cultivated for the saffron from their stigmas. Crocuses paint Winter and Spring meadows and woods with their wonderful purples and yellows. 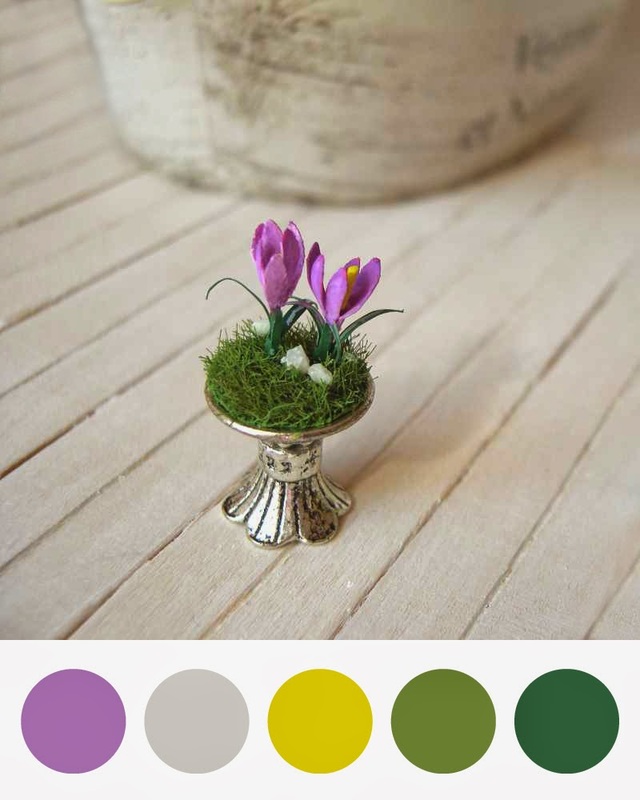 Here the table of Crocus colors, their remind to Pantone colors for 2014.